This document describes how to print an SIS class roster with photos. Browser must be INTERNET EXPLORER. 1. 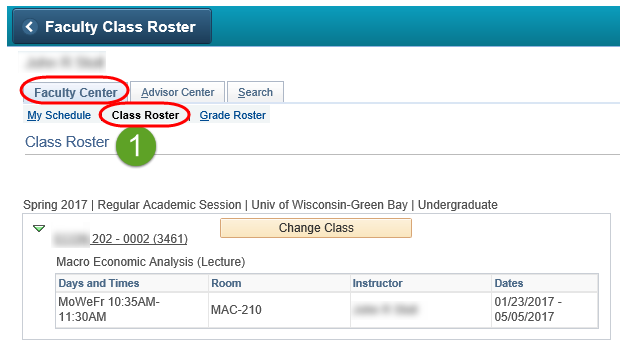 Navigate to "Faculty Class Roster" from the Faculty Center. 2. Select "Include Photos in List" radio button. 3. Click on "View All" link. 4. Highlight the students\photos that needs to be printed. 5. Right click on the highlighted text and select Print Preview. 6. Change the option at top of Print Preview screen from "As laid out on the screen" to "As Selected on the Screen." 7. Click "Print Document" icon in upper left corner.